Underpass Park is now officially open for fun. 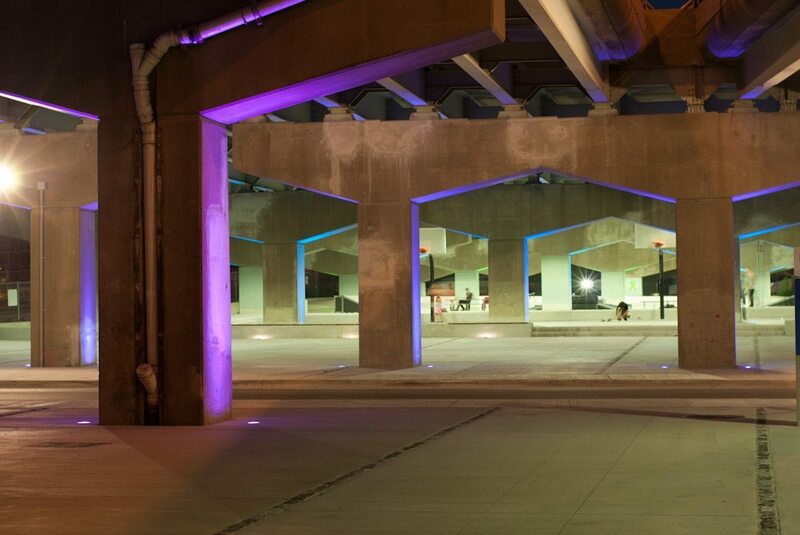 WHAT: Though we previewed Underpass Park during its construction a few months ago, the park officially opened yesterday and we decided to pay it a repeat visit—specifically at dusk, to see how the new lighting would change the atmosphere. We recommend it highly—it’s fairly distinctive, and really highlights the underpass’s urban nature.